At Theatrical Makeup Supplies we have the full selection of Ben Nye professional clown makeup for your professional applications. The Ben Nye clown makeup is a highly pigmented formula that professional clowns rely on for fantastic results. We carry the wonderfully opaque clown white with amazing coverage and also the Ben Nye clown makeup in a variety of colors that is an easy to apply texture known for it's bright long wearing finish. We carry an exceptional selection of Ben Nye Magicake Aqua Paint at Theatrical Makeup Supplies. The Ben Nye line of Magicake Aqua Paint works excellently for both body and face painting alike. The Magicake Aqua Paint is a water activated cake that produces bold color in over 40 shades that are long wearing. They may be applied by brush for small details or by sponge to cover a larger area. At Theatrical Makeup Supplies we have the full line of Ben Nye Magicolor glitter paint for your professional applications. Create instant glamour for fantasy, fashion, dance, Halloween, Mardi Gras and more. This beautiful glitter paint dries to a brillant finish. You may apply over makeup or directly to the face, hair or body. We carry a wonderful selection of face paints by Ben Nye at Theatrical Makeup Supplies. The Ben Nye line of face paints are a great choice for both beginners and professional face painting artists because Ben Nye face paints are water-based and are very easy to apply. Once the face paint is applied it dries to a flawless finish and is smudge proof. 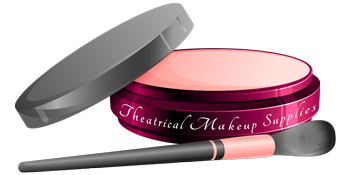 When you are looking for the finest in professional face painting and clown makeup, look no further than Theatrical Makeup Supplies for all your professional makeup needs.